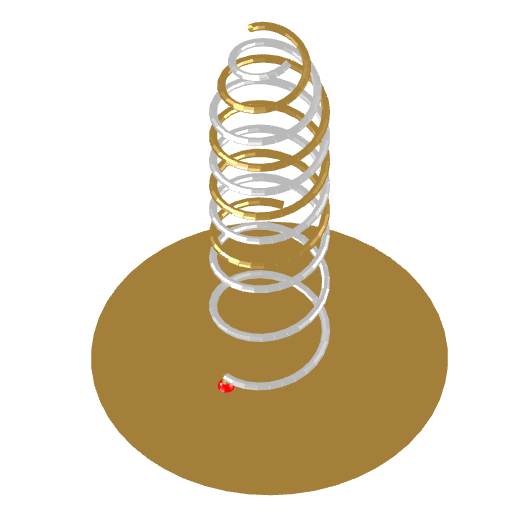 Image of the End-tapered wire helix with parasitic element. 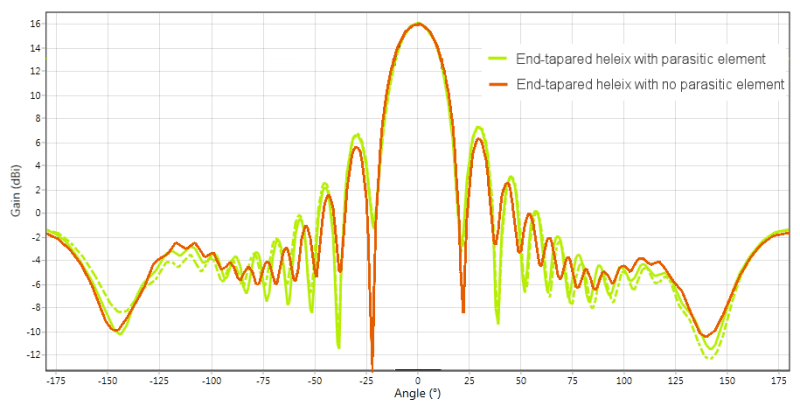 The End-tapered wire helix with parasitic element is a modification of the Axial-mode helical antenna with linear end-taper - a moderately wide-band, circularly polarised antenna, which is popular in UHF and microwave frequency applications due to its small cross section. 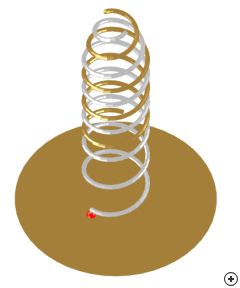 The addition of a parasitic helix - as illustrated in the above image - increases the gain of the driven helix without an increase in axial length or diameter. 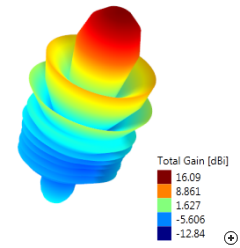 To illustrate the effect of the parasitic element, the dimensions and radiation performance of the two helices (both designed for 16 dBi gain at 1 GHz for a wire diameter of 2 mm) is shown in the previous image. 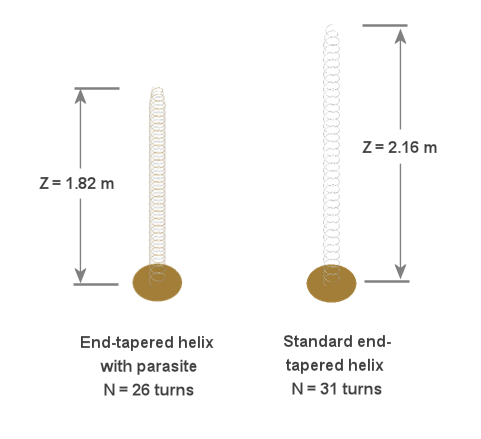 The design which includes the parasitic element requires up to 20% less helical turns and is up to 20% shorter when compared to the standard single wire End-tapered helix. The radiation performance of both helices is very similar. 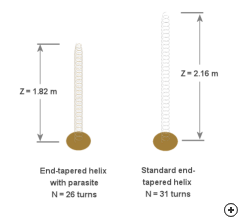 Comparative radiation pattern cuts for an End-tapered helix with and without the parasitic element. [Both antennas designed for 16 dBi gain at 1 GHz center frequency]. 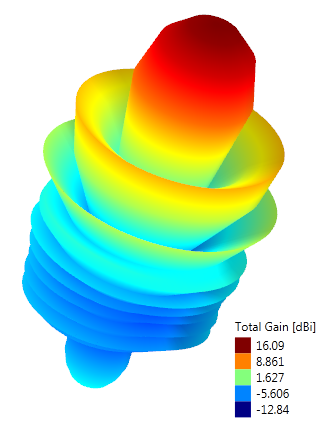 Radiation pattern of an End-tapered helix with parasitic element, designed in Antenna Magus for 16 dBi gain at 1 GHz center frequency.